John Adams once said, “There are two ways to conquer and enslave a country. One is by the sword. The other is by debt.” Why would someone want to enslave another person? To make a profit off of them. The average U.S. household consumer has a credit card debt of $15,706, average mortgage debt of $156,333, and average student loan debt of $32,953 (http://www.nerdwallet.com/blog/credit-card-data/average-credit-card-debt-household/). At the time of this writing the US national debt is a little over $18 trillion (http://www.usdebtclock.org/). It used to be in the former days that if someone had to use credit you were looked down upon. Now using credit has become a way of life. Many people may say that it takes money to make money. However, at the rate that we are going only a select few actually make money. Now it is a way of life to take out money for a car loan, mortgage and even just necessities. We are no longer taught to pay for things with cash. However, this way of life cannot continue. I agree whole heartedly with what senator Ron Paul said that there will be a day of reckoning. We are seeing nations around the world with once thriving economies are now crashing because they are built on the fictitious economy of fiat money. Such countries include Argentina, Greece, Puerto Rico and China. The world economies are interconnected. So when one crashes it will cause a domino effect. This is why it is an important reason that we should not only be prepping with gear but also prepping financially. Every prepper should be working to get out of debt and become self-sufficient. We can no longer depend on our country or economy to support us. 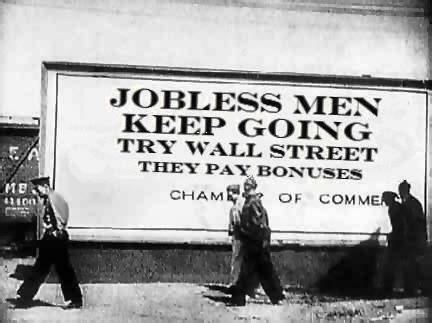 There will be no unemployment lines when the economy crashes. This society has taught us that we need to go to school learn a profession to work a career for the rest of our lives. They teach us to work for a company or a man to help make them richer. All the while you are dependent upon them. At a moment’s notice that can change your pay, your hours or even fire you. We have also become dependent upon a government to take care of us when experiencing financial distress. Millions of people are still collecting welfare checks and food stamps to this day. However, once a financial collapse comes who will these people turn to? During a financial collapse you will not be able to pay your mortgage. During the economic collapse in Argentina the people were limited to withdrawing $250 per week from their banks to pay bills. However, the bill collectors are not going to be understanding. They are going to want their money regardless. As a matter of fact, during a financial collapse they will be even more aggressive about recovering their money. In the former days there was a thing called a debtors prison where they would throw you in jail for not paying your bills. They don’t do that in America today. However, it could be a possibility that something like this would return during a financial collapse. Not only that but they could possibly put a lien against your property. That house that you worked so hard for will be stripped from your hands. Then you have to worry about protection, shelter and provision. With no debt you will have more money to spend on prepping. We know that purchasing prepper gear is not cheap. At least if you want some good quality prepper gear you are going to pay a good buck. Getting out of debt has been a challenge for me. However, witnessing how bad the American economy is reminds me daily of the need to get out of debt. On top of that, back in 2009 I was laid off for 2 and half years. I truly learned what it meant to live without and constantly have bill collectors harass you. Fortunately I was recommended to read a great book by Dave Ramsey called Total Money Makeover. If you have debt then I would highly encourage you to read this book. It has changed my life and has been such a blessing to me. As mentioned in the previous points we have been trained and taught that debt is necessary in today’s world. Therefore to make a change in our actions we must change the way that we think. There must be a desire and realization that you no longer want to be a slave the debt anymore. Every pay period there must be a plan implemented on where that money goes. If we fail to plan then we plan to fail. Put together a budget assigning every dollar earned. We need to know where our money is going that way we can make the appropriate corrections. We need to transition to a place where we are not dependent upon credit. I would recommend cutting up your credit cards and throwing them away. It would be counterintuitive to save money while continuing to go deeper into debt. Typically the interest that you pay on your credit is going to be higher than the interest that you earn on your savings account. So you are not really making any progress by going more into debt. Eventually you will have to use that money in your savings to pay off your debt. As preppers we believe that our society is 4 meals away from going into chaos. This isn’t only true regarding food but also money. 26% of Americans have no emergency savings according to a report by Bankrate.com. Many times when people are laid off they are dependent upon the government to feed them and pay their bills because they haven’t saved any money for emergencies. We cannot be so ignorant and arrogant to prep with food and putting together our prepper gear into a bug out bag while neglecting to save any money. As Dave Ramsey teaches in his book we should put together an emergency savings fund. These funds are for emergencies only. So needs such as a new tire, needing a haircut or wanting new shoes will have to wait. First you we should start off with putting $1,500 to the side for emergencies. Then spend all discretionary money on paying bills after that is saved. Once that debt is paid off focus on having 6 to 8 months’ worth of expenses saved up. These steps are just the beginning. As a prepper we know that you are never done. I would encourage you to read Total Money Makeover by Dave Ramsey. It will change your life by helping you get off of debt and begin thriving. In the comment section below let me know how you are getting financially prepared. Are you taking these suggested steps? Do you have any recommendations?